Full coverage foundation can be hard to find, and even harder to apply. 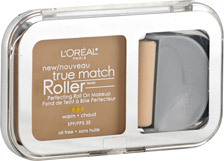 L’Oreal makes it easy with their True Match Perfecting Roll on Makeup. It includes a paint roller applicator and gives medium to full coverage with an airbrushed finish. This week, we are giving away this foundation to one lucky winner! To enter, just comment below. 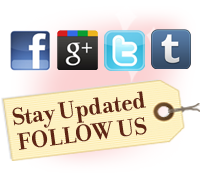 We want to hear from you who makes the best full coverage foundation. One winner per week, winner will be chosen by 4/27/2011 and notified by email 5/4/2011. U.S. residents only. So far, I haven’t found the best full coverage makeup, since my skin has gone from oily/combo to normal skin. I used to swear that the very best full coverage was what we used for stage makeup “William Tuttle”. But I ran out years ago and haven’t made it to a stage supply store to match my skin with it again. That make up was by far the best ever for photos etc. I wish I knew who made the best foundation! My favorite used to be Bare Minerals but it just doesn’t seem to look good on me anymore. I always look red. I am always scared of trying foundations because I am afraid of that horrid line around the edges so I end up skipping it all together. I would love to try Loreal foundation…right now I use Suzanne Sommers spray on foundation. In all my 50 years, I have yet to find a foundation that does not make me look an odd color, dead, or striped. I would love to see if yours could finally be the one for me! From all I have heard it very well could be it! Thanks for this most generous contest. What a nice offer, here’s to being hopeful! I haven’t yet found a good foundation that I love! My favorite has been BareMinerals, but it’s a little spendy and not full coverage! I so need this. I can really use it. Thank you for the chance. I have been on the search for the “best”. 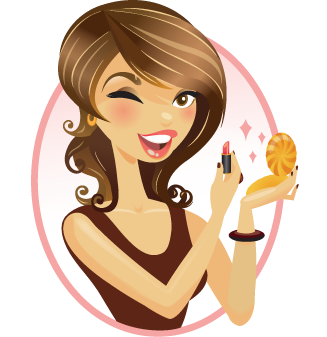 For me, I use Age Rewind (Maybelline) and get compliments…but, I am not thrilled with it. Would love to try this. L’Oreal usually doesn’t me down. I have actually tried to go lighter and lighter as I get older so I like tinted moisturizers on the days I don’t want to go all out on makeup and Peter Roth Thomas makes just about the best there is because it also contains crystals that reflect light away from your skin. When I want full coverage I use Revlon’s in the lightest color they have and then a light mineral powder to keep it from shining. I’ve been using Cover Girl Aqua Smooth foundation and have been happy with it. Would love to try this one to see if it works for me. Always looking for a better solution. I’ve never used foundation before, but I’ve been eyeing the L’oreal one because it seems so easy and quick with the rolling applicator. I really like Neutrogena Foundation, it covers great and is light. I have been using Bare Minerals foundation for over 7 years. However, their coverage is not full. 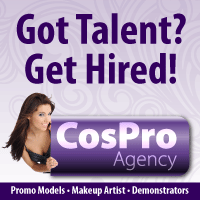 I used to be a beauty consultant for Belk’s cosmetics & I sold UII (U2) makeup. They had a full coverage foundation that lasted forever! I’m not sure if they still make the product. Want to try this!! I love your reviews. Thank you!